We all play guitar here at DontCrack and we thought it was about time to run lots of great promos on the Guitar related software we love to use. So here’s your opportunity to make some huge savings during our exclusive ‘Guitar Month’ event. Until Feb. 15th, we are bringing you the very best prices possible on all our favorite guitar-related plug-ins. Everything that will help you get that ‘killer’ guitar sound for your tracks. We have also a selection of all the best guitar products from all our manufacturers and we guarantee they will enhance your tracks. Looking for a new flanger, amp simulator, chorus, talk-box, or pitch-shifter to add to your plug-in collection, this the time to do it. 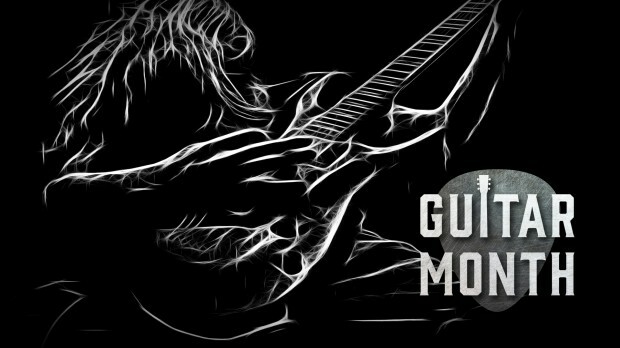 We will be adding other exciting new promos during the ‘Guitar Month’ so make sure you get our newsletter so that you don’t miss out on the fantastic deals that will be coming in. It’s time to tune up that axe of yours ! This entry was posted in DontCrack, Event, Plug-ins, Promotions and tagged amp simulator, Amps, Chorus, DontCrack Guitar Month, Flanger, Guitar amp emulation, Guitar effects pedals, Guitar Month, Kuassa, Pitch Shifter, talk-box. Bookmark the permalink.